1332 67th St Berkeley, CA. | MLS# 464674 | Andrew de Vries, Probate Real Estate, San Francisco Probate Real Estate, Oakland Probate Real Estate, Berkeley Probate Real Estate, Alameda Probate Real Estate, Lafayette, Contra Costa Probate Real Estate, Probate realtor, Probate agent, Probate Broker. 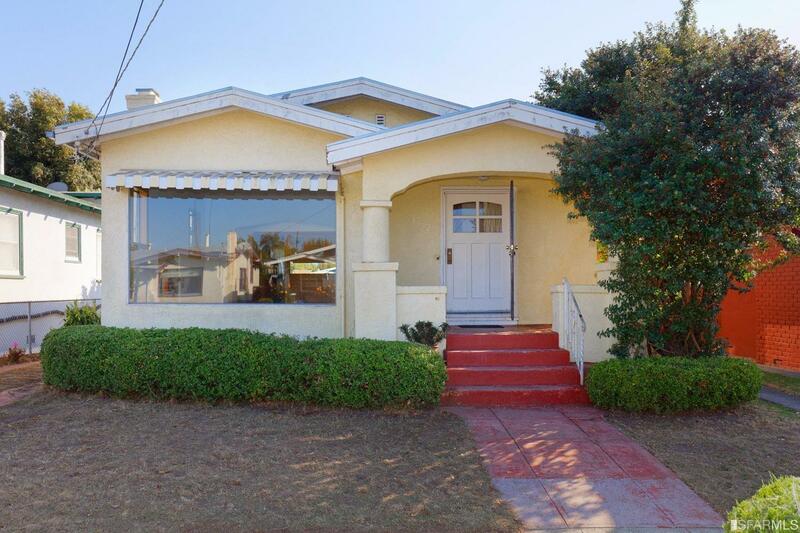 Rare opportunity to purchase a vintage 3BD/2.5BA 1689 Sq Ft South Berkeley NOBE Bungalow & make it your own! 1332 67th is a charming 1920s split-level with a bonus addition thrown-in for good measure. The home boasts a FLR with fireplace, FDR with built-ins, an eat in kitchen, 2BDs & BA down, PLUS a large master suite w/Romeo balcony up AND a bonus family/guest room with 1/2 BA, fireplace & slider to the rear yard down. Outback is a cozy rear yard & large garage with bonus room potential. Wonderful location on scenic street with real neighborhood feel, cls to shopping, dining, BART, City Sports Club, public transit and 80/580/SF commute access. Significant square footage, a charming location, and a chance to reinvent, make this a must see!